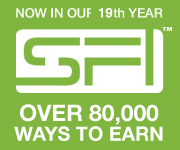 I keep seeing advertisements for SFI but I wasn’t sure whether to sign up with them. I might check them out now. Thank you for reviewing them! I am sorry to see that it didn’t work for you @waflay. As for me, I have already started seeing some earnings accumulating in my account. I hope it works for me like it has done for 1000s who have stuck with it for years. @jessica, I used to see them the same way, but now that I joined, I feel like I should have acted earlier. That is a new challenge to you and others who have been dismissing it. I don’t understand them as well.